This July look for an interesting new hardcover book from Boom! 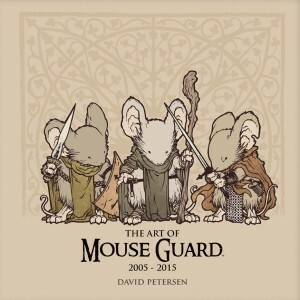 Studios: The Art of Mouse Guard, 2005 – 2015. “Celebrate the first 10 years of a comics classic from the very first sketch. 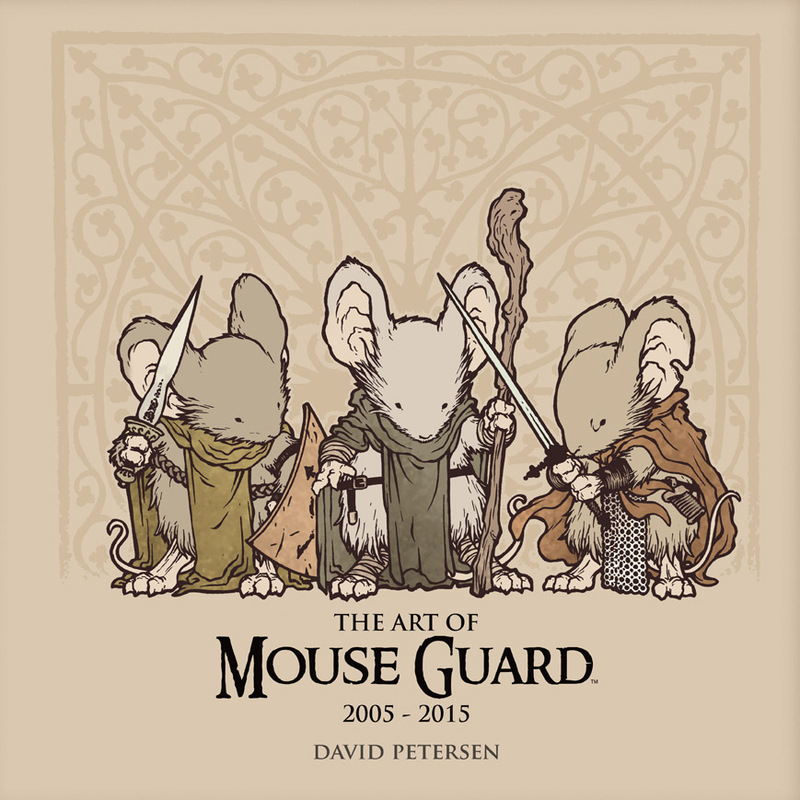 For the first time since the series debut, David Petersen’s process for creating the world of Mouse Guard and bringing it to life in stunning illustration is documented in exquisite detail. With never-before-seen sketches; 100 pages of full-color, oversized artwork; and commentary from colleagues, collaborators, and Petersen himself, readers and fans get an unprecedented look behind-the-pages at how their favorite characters and adventures were born.” Those colleagues and collaborators include folks like Mike Mignola, Stan Sakai, Geof Darrow, and many others. You can find out more over at the Simon & Schuster Digital Catalog site.